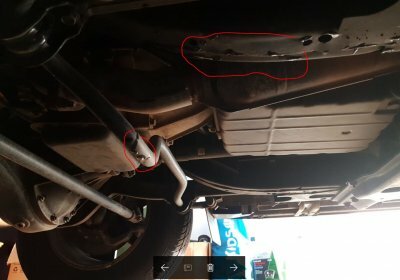 Nissan Patrol leaking clear liquid? I purchased a 2007 Nissan Patrol (3.0L diesel) about 2 months ago with 112,000 kms and it drives great! Yesterday we went camping and when I returned, I spray the underside of the car with a sprinkler for about 10mins. No heavy driving, maybe 10kms of gravel road at most. Today I drove about 60kms, but when I got home I noticed some clear liquid dripping around about the passenger side. The liquid wasnt the colour of the green coolant which was in the car. Once I stopped the car, about 100ml (at most) dripped out, but it stopped. Any ideas where this leak could be coming from or if could have been “pooled” somewhere under the bonnet when I cleaned it with a sprinkler the day before? Attached is a picture of the leak. The aircon has been running all the time while driving today.. didnt think of that!?!?!?! Did you run the Aircon? Yes, the aircon was running all the time (i dont normally, but it was really warm today).. im not sure what the firewall is, but the image i attached showed where it was coming from. The firewall is the metal sheet between the engine bay and the cabin. Will be condensate from the airconditioner evaporator under the dash draining to the ground outside the cabin near the firewall. Sometimes, depending on the temperature and the humidity, the evaporator ices up and the condensate only thaws when you stop and park, hence the pool of water. get under and check the rubber tube, you don't want it directing water into the chassis to cause rust. Yeah I reckon @Chatty & @Tink are right . My BT50 always leaves a small pool of water when I park in the warmer months.